I’ve never been a Stargate fan. I’ve tried watching SG-1 and Stargate Atlantis, but never really found them compelling enough. I actually like the original movie with Kurt Russell, but the series never really interested me that much. One of my friends recently bought all of the seasons cheaply. I thought about watching them, but ran out of time. Scalzi is a creative consultant on this series and it looks pretty interesting, so I’ve decided to give it a go. Now, before any bitching and hating starts― too late, it’s already started, I haven’t bothered to read, review, or watch any of the Stargate series, and I’m not going to. I’ve watched a couple of episodes and didn’t continue. I tried Stargate Atlantis, but didn’t like it. My friend told me that starting season 4, SG-1 was really good. I can’t really comment on that as I stopped watching the series after a few episodes. Basically, I’m a new viewer of Stargate, but I’m not a science-fiction novice. It puts me in an interesting spot about reviewing this show. My point of view is from someone who hasn’t watched any of the SG shows, so this review and recap should be interesting to those of you who haven’t watched SG before. For the others, leave some comments and start a discussion. Is the show good or bad? Read on to find out more. 16:41:59: Managed to sleep 11 hours last night. 16:43:31: RT @bedheadblonde: If you can’t figure out how to unfasten your seatbelt, you should be left on the plane to die.Airplane Darwinism. 16:43:42: RT @goldengateblond: You’re the one who dressed up your baby as a whoopee cushion. I was just testing him out. 16:48:27: RT @warrenellis: Apparently FREAKANGELS just won an Eagle Award. Sadly, they still don’t give real eagles as prizes. 17:25:55: Time to walk Spike and do some more relaxing. Love Saturdays. 18:42:05: Took me a while, but I managed to find my gigantic 18×24″ watercolor canvases. 19:36:37: It’s to create a plot storyboard for my Werewolf story. I’m 23,000 words in. 19:38:33: It’s 6:37AM in Urbana-Champaign & I just called the wife to say that I loved her. She’s on her way to teach. Yes, Saturday teaching classes. 21:00:44: RT @annebgodbout: Finalement, fiston était tranquillement crampé de son érection matinale en chantant pénis-pénis-pénis. Charmant les mâles. 21:01:33: Catching up on some shows that I missed this week. Even after 11 hours of sleep, I’m still a bit groggy. 21:03:01: I think I’ll have some pasta tonight. Not in the mood to make anything elaborate. The wife confessed that she deeply misses my cooking. As more and more people are buying laptops, it begs the following and immediate question: are desktop computers obsolete? It all depends on what you do with your computer. For a lot of users, laptops are fine, especially if you one of the more powerful desktop replacement laptops. However, in some cases, desktops are still very useful. Maytag recently released some new washers and dryers, which are the creme of the crop when it comes to energy efficiency and overall good looks. The only hitch is that they cost a grand each, otherwise we’d have them in our homes already. Who is Deadmau5? 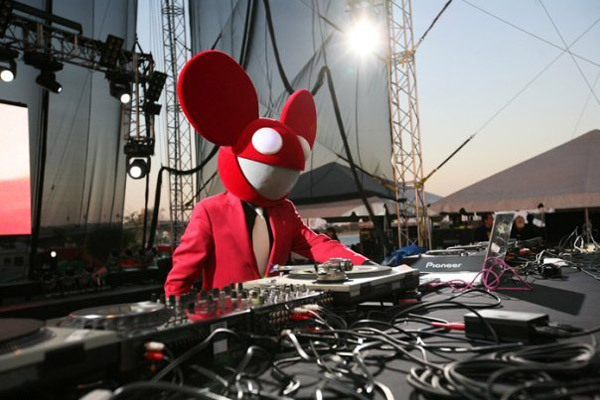 He’s a DJ based in Toronto, Ontario, Canada, and he’s mostly known for wearing these crazy masks during his live sets, that kind of look like a dead mouse.